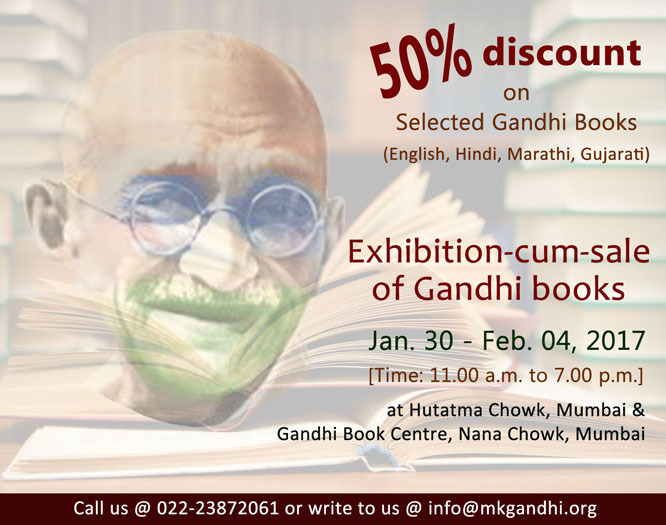 Various books on and by Mahatma Gandhi will be available for sale at discounted prices to mark his 69th death anniversary which falls on January 30. We need everyone’s cooperation so that our latest Bengali play BAPU could reach amongst the theatre loving mass all over India and specially to the generation next to look back Gandhiji and his ideology once again from their frame of mind. Bapu is to eradicate corruption, Bapu is to stop violence. We would request you kindly to help us by connecting organisers all over India for shows of BAPU and we have decided to stage BAPU just at cost basis to reach maximum audience.